�In recent years, Tourism worldwide has proved to be one of the most resilient sectors against economic crises. This is due to its adaptive quality and because of the desire to travel remains fundamental. 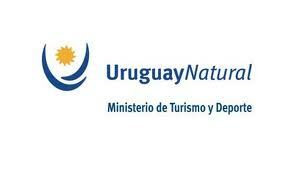 In Uruguay Tourism has become one of the pillars of the economy. Recent estimates from the Satellite Account of Tourism propose that the contribution to the GDP from this activity is around 6%. Regarding employment, according to the figures of the INE, we can estimate an 8% contribution to the supply of the employment market. If we also consider the economic impact of internal Tourism and the touristic component in the country�s investments, the importance of Tourism as a productive activity in present-day Uruguay remains clear. This is why the Ministry of Tourism forms a part of the Productive cabinet. However, beyond these economic elements, Tourism should also be seen as a space for innovation. Not only in terms of the new technologies utilized in its development, but also in terms of the focus that has been adopted for its management. In this sense, the Ministry of Tourism and Sport incorporated the concept of sustainability in two fundamental documents of 2009: The National Plan of Sustainable Tourism 2020 and the National Commitment towards Tourism. The idea to position Uruguay as a destination for Academic Tourism is innovative. It focuses on an unsatisfied segment of the market demand; in which it is unequivocal the potential that the country possesses due to its level of academics, its natural beauty, scale of the country and the quality of its people. The ingenuity of Uabroad.org, driven by young university students, is interesting and auspicious. It is whereby deserving of the support of the Ministry of Tourism and Sport. Support, which along with that of other State agencies, Universities and private sector coordinated together, is expected to contribute to the development of Academic Tourism in Uruguay�.